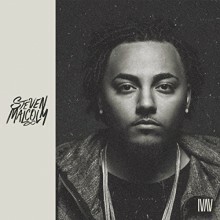 Michigan-based rapper Steven Malcolm released his self-titled debut album, Steven Malcolm, and as the much-publicized first release states, Malcolm is truly this moment’s “Hot Boy.” Rapzilla.com had the foresight to nominate him as their 2015’s Best New Artist, and the day after its release, his album shot into the top 15 of the ITunes/Hip Hop Chart. Soon after, ESPN signed the Hot Boy’s debut single for use in future NBA game coverage. None of this comes as a surprise to fans of other rappers such as Grammy winner Lecrae, KB and Andy Mineo, as Malcolm has been on the Christian hip hop/rap radar for years now. It’s obvious he has the potential to chart onto mainstream hip hop/rap as well, as his entire album’s lyrical and musical content speaks to the current generation through empowering references of God and self alike. The 13-album set is a mix of both slow, melodic satire and upbeat, feel-good beats that showcase hip hop as its best—pounding downbeats and lyrical composition calling to both its listeners’ activist side while entertaining with a club-like, social vibe. Each song opens with its own unique riff, straight-up announcing mood and tone in a no-holds-barred fashion. 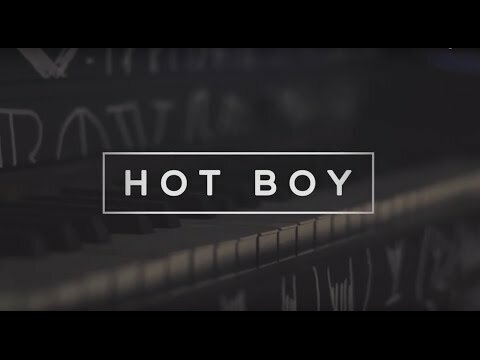 “Hot Boy”’s 4-chord keyboard intro in minor key is overlaid with a vintage LP crackle, showcasing the track’s ultra-confident presence of its lead role on the album. A second 4-chord riff juxtaposed against “Fire”’s abrupt, digitized chord and subsequent echoes provide a throw-out to Malcolm’s Jamaican roots, as a distinctive reggae style dominates the entire composition. Andy Mineo and former American Idol contestant Hollyn weigh in on one of the album’s party-rap vibe, “Party in the Hills,” while Blanca adds her own style to Malcolm’s other R&B/rap mix, “Never Let You Go.” “What Was You Thinking” makes light use of error sounds for its dominant chordal strain, similar to methodology J. Dilla used in his album Doughnuts, and the satirical poetics of “Cereal” pertain to not only breakfast choices, but also the positive end game results from choices that take one from “Growing up, I could only have some in the morning” to a “But now it’s whenever” lifestyle. The diverse musical stylings and driving lyricism make for an exciting rap collection debut, and if this album is any indication, Steven Malcolm will continue to represent as one of the genre’s Hot Boys for many fiery moments to come.